Bihar Board Examination Board (BSEB) matric or class 10 results are expected to be published on or before June 20. 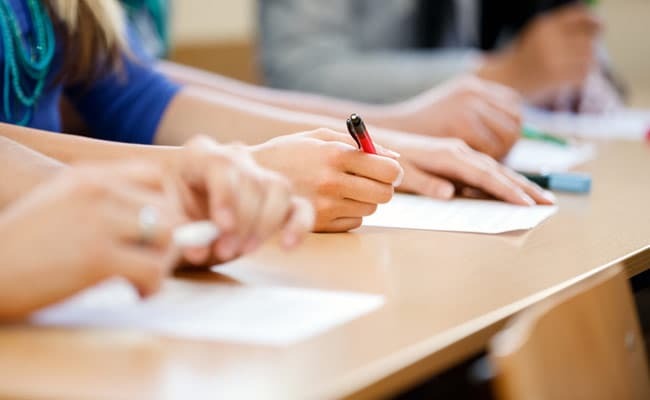 New Delhi: Bihar Board Examination Board (BSEB) matric or class 10 results are expected to be declared on or before June 20. The BSEB Class 10 or Matric results declaration has been postponed twice since May 30. Bihar board class 10 results are one of the most anticipated secondary school education results owing to the controversies and frauds surrounding the class 12 results declared recently. BSEB declared the result for intermediate or class 12th students on May 30. This year proved to be the worst for Bihar board students as only 30.11 per cent students managed to pass the exam in science stream. The situation was not good in Arts stream either where the pass percentage was a mere 37.1 per cent. Commerce stream students did well and 73.76 per cent students passed the board exam. A toppers' story of class 12 results this year also brought infamy to the BSEB. As in the case of last year, when a girl candidate drew national infamy after she said "political science" is about cooking, This year, another topper in humanities, stumbled over queries posed by the media on music, in which he scored 65 out of 70 in practicals. Ganesh Kumar, this year's Class 12 board exam topper in Bihar, in an interview to a TV news channel said singer Lata Mangeshkar is known as 'Maithili Kokila', a title bestowed on folk singer Sharda Sinha, who is from Samastipur, where his school is situated. Vowing to scale up efforts to clean up Bihar's school examination system, Chief Minister Nitish Kumar on June 5th held a sharp drop in pass percentage of Class 12 students this year as evidence that the state was on the right track but conceded he had "miles to go to plug all loopholes". Not that the government hadn't tried in the past but the "wrongdoers find ways somehow". But the Chief Minister insisted that Bihar got more than its share of criticism and exam arrangements weren't perfect in any part of the country. "Some people of Bihar are attempting to damage Bihar's image... They are repeatedly trying to damage the state's image," the Chief Minister said, adding that he had ordered strict action every time an irregularity in the exams came to light over the last three years. BSEB Class 12 results also saw students protesting against the board and government. Train and road services were hit in Bihar on June 8 as student organisations affiliated to Left parties went on strike to protest the large-scale failure of Class 12 students in the state board exams. Meanwhile, amidst all the protests, Education Minister Ashok Choudhary, who is from the Congress, found a reason to celebrate, claiming that this year's lower pass rate establishes that cheating, an established practice in Bihar, has been successfully curbed through the use of answer sheets that have bar codes on them as a new security feature. Now the wait is for BSEB class 10 or matric results!